Not surprisingly, the article, which appeared in Nature Human Behaviour, received considerable media attention, including coverage in Smithsonian, Ars Technica and many other outlets. And it has continued to serve as fodder for articles about the spread of lies in cyberspace. The authors wish to retract this Letter as follow-up work has highlighted that two errors were committed in the analyses used to produce Figs 4d and 5. In Fig. 4d, a software bug led to an incorrect value of the discriminative power represented by the blue bar. The correct value is τ = 0.17, as opposed to the value τ = 0.15 reported in the Letter. In Fig. 5, the model plot was produced with erroneous data. Produced with the correct data, the authors’ model does not account for the virality of both high- and low-quality information observed in the empirical Facebook data (inset). In the revised figure shown below (Fig. 5), the distribution of high-quality meme popularity predicted by the model is substantially broader than that of low-quality memes, which do not become popular. Thus, the original conclusion, that the model predicts that low-quality information is just as likely to go viral as high-quality information, is not supported. All other results in the Letter remain valid. The retraction appears to be the first for the journal, which debuted two years ago this month. If there is a lesson it’s that we should be mindful of double (and triple… and quadruple) checking our analyses. The pressure to publish is very strong, but no scientist wants to find themselves in this position. Having said that, I think the authors should be commended for retracting the paper. So, while it may indeed be “true” that a lie is halfway around the world before the truth gets its pants on, we still don’t know why. Update, 1715 UTC, 1/10/19: We have replaced the image on this post. 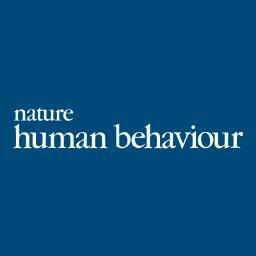 Originally, and consistent with images we’ve used since our launch in 2010, the image was the cover of the current issue of Nature Human Behaviour. However, authors of a study in that issue objected and asked us to replace the image, with one author saying that they “would rather not be associated with fake news.” Although we do not feel that the use of the original image did that, we have replaced the image as a courtesy. Surely the paper is not retracted because of an error that makes 0.15 into a 0.17. By making this the only quotable numbers in the retraction, the author makes it appear as if this is the main problem with the paper. Frankly speaking, it looks like spin. It would be more honest to give the numbers for what appears to be the main problem. Hi, I just wanted to let you know that you are using an unrelated image for this article. This is the cover illustration for one of my papers on exploration and generalization in human learning (https://www.nature.com/articles/s41562-018-0467-4). We would rather not be associated with fake news. Would you consider our reasonable request to replace it with a more appropriate image? We feel that it is rather irresponsible to use the first random picture you find on the internet for an article about fake news. Especially since we have done our best to follow open science practices by openly published the data and code. This suggests that there was a problem with the empirical data presented in the paper, which is not the case. In fact, the empirical finding about the distribution of popularity for fake news articles on Facebook holds. The error that led to the retraction was in the analysis of our model, not the empirical data. Our model does not reproduce those empirical curves, despite the fact that the model does predict low correlation between popularity and quality. Therefore, while finite attention and information overload may play a role in the virality of low-quality information, according to our revised results, they alone are not sufficient to explain the patterns of virality observed in the empirical data. The literature has since pointed to other factors such as novelty and social bots, which also play important roles. Thanks that is great to read your (second) thoughts. It takes some guts. Good luck.